Mahjong Deluxe 3 includes 8 different worlds containing a total of 640 exciting puzzle layouts to enjoy in classic 2D and glorious 3D. Puzzles are laid out using random tile orders, allowing you to replay each layout many times with a new experience each session. An exciting scoring system, great sound effects and relaxing music adds to the fun. 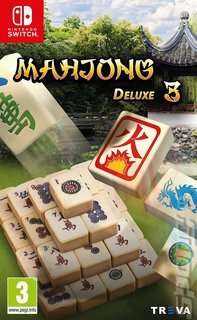 Suitable to players of all ages and experience levels, Mahjong Deluxe 3 offers a modern rendition of the popular Chinese classic.